Lou Cormack had lived in some of the most remote places Australia has to offer but was still shocked by the isolation of Doro, a village and refugee camp in Maban County, South Sudan. She shares her experiences from nine months as a field coordinator responsible for more than 300 Médecins Sans Frontières staff. 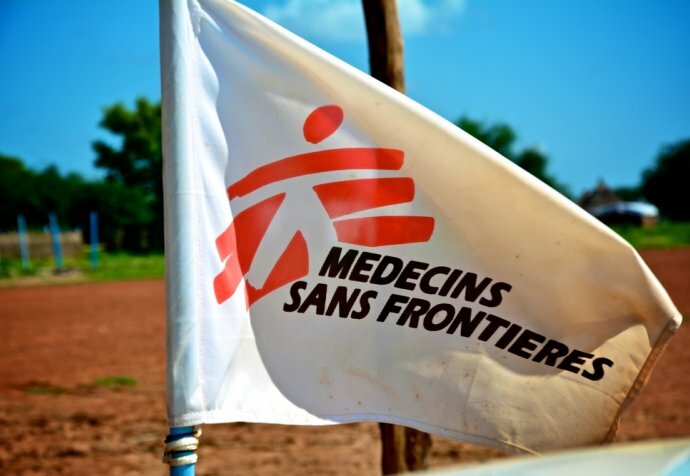 “Like many Médecins Sans Frontières logisticians and coordinators, I’ve had a mix of professions. I have a business degree and have worked in farming, resources and adventure tourism. I’ve worked in remote communities – including rural Northern Territory and Western Australia – but South Sudan certainly offered a new challenge. This was my fourth assignment with Médecins Sans Frontières and my first as a field coordinator. I’d worked as a logistician on an HIV project on Lake Victoria in Kenya, and then on Ebola missions in Sierra Leone and Liberia. As a logistician, my day might involve coordinating the purchase and transport of supplies, maintaining vehicles and communications systems, interacting with local authorities and organisations or implementing security protocols. The field coordinator role is more about leading and managing project activities and teams. "I’ve worked in some of the most remote places Australia has to offer but was still shocked by the isolation of Doro"
Doro is a big project – with around 300 South Sudanese staff and 30 International staff – so my role was very human resources-driven. Security and context analysis were intensive too, so I was continuously talking to people to keep on top of that. There was a lot of community engagement and a lot of making sure processes and procedures were maintained. There were certainly some challenges along the way. At one point we were fighting the worst malaria outbreak in South Sudan in years and we ran out of rapid diagnostic tests. Another time we ran out of paracetamol – almost unbelievable. It is hard to imagine a country with more severe logistics challenges around getting what you need to where it is needed at the time it is needed. There are around 130,000 Sudanese refugees in four camps in Maban Country. Their arrival put additional strain on the already strained host community (the Mabanese) and although there is a long history of good relations among these communities, tensions do arise. It’s an extremely isolated place and both the refugee and host communities have limited access to basic services such as health and education. On top of this, after a very dry year, food supplies are limited and people are surviving on one meal a day. The situation is desperate. Physically it’s the most challenging place I’ve ever worked and very demanding on the body. In February and March it was over 40 degrees Celsius in my office every day. I had two fans on; it was like sitting in a 40 degree hurricane.